There are few things more satisfying than fulfilling a craving with instant gratification. Companies like Pillsbury and have made this possible with the introduction of their famous Ready to Bake Cookies line: just rip open the package, break off the cookies along the creased lines, place on a cookie sheet, and bake. However, if you're looking for something more spicy or savory, you're usually out of luck. 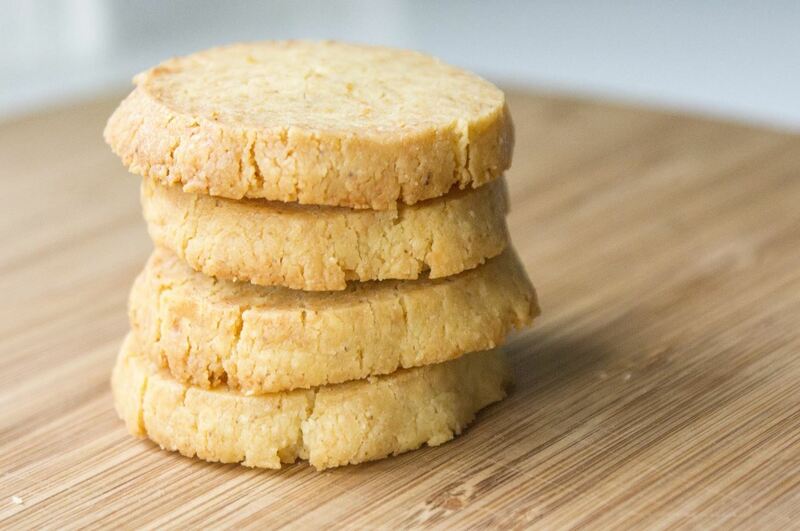 Thankfully, it's not difficult to create your own "Ready-to-Bake" style shortbreads at home. 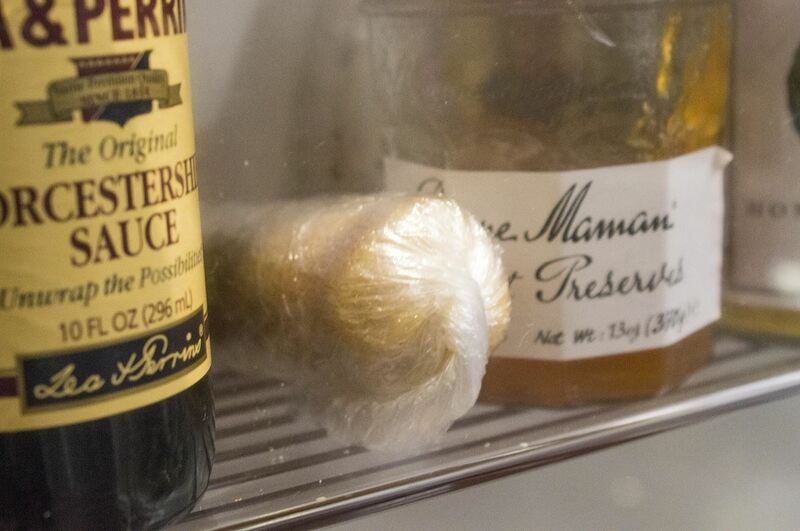 Knowing how to roll a cling-filmed log allows you to keep any dough at hand. The video below demonstrates the steps behind not only rolling the log shape, but creating an airtight container for the log to be stored in for future use. Combine all ingredients except egg yolks in a standing mixer (or in a bowl if you don't own a stand mixer). Mix the ingredients on medium low until the consistency is like sand using either a stand mixer or a hand mixer. Add egg yolks and mix until the yolks are completely incorporated. 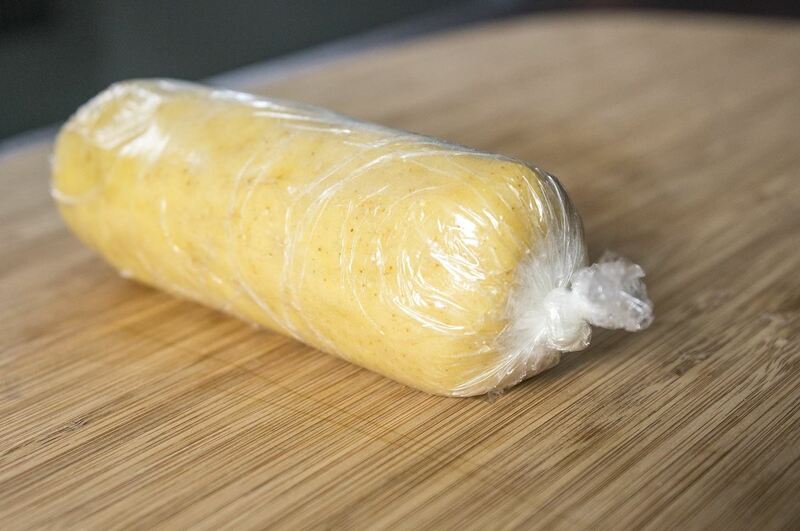 Empty the dough onto plastic wrap and start shaping the dough into a log with your hands. For best results, follow the video linked above. If you will use the dough in the next 2-3 days, store it in the refrigerator. Otherwise, it will keep in the freezer for up to 6 months. Depending on the size of your log, you can tuck it away in any nook or cranny. If you've refrigerated your dough, let it defrost at room temperature for 10 minutes before using. If you've frozen your dough, let it defrost in the refrigerator for several hours (and then for 10 minutes at room temperature). Then, using a sharp knife, slice evenly into pucks. Look for a smooth, non-grainy consistency when slicing. Even slicing ensures even baking. 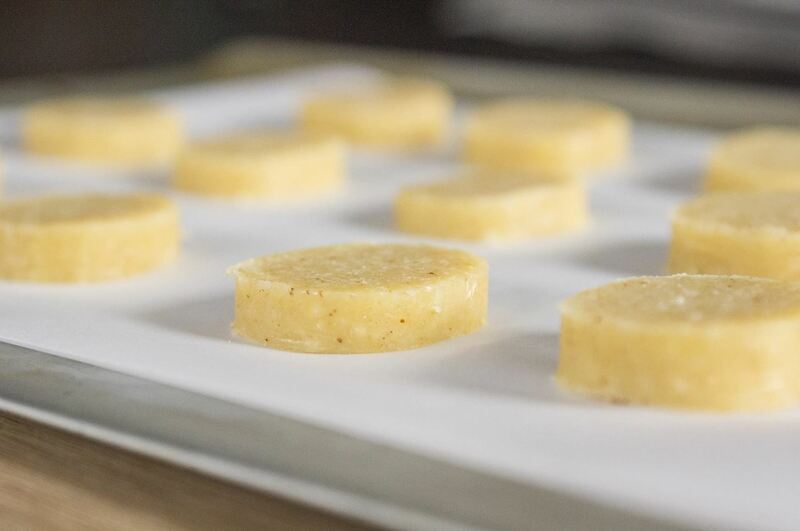 When the shortbread is ready, remove from the oven and let them cool for a minute before transferring them to a cooling rack. 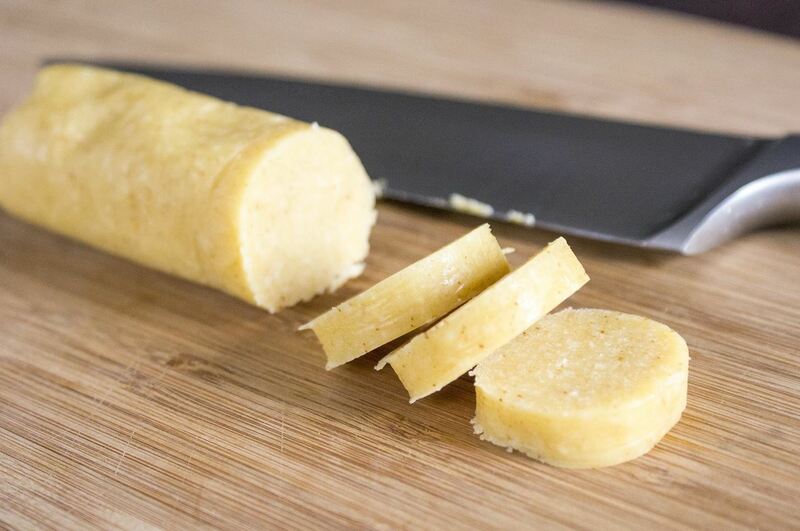 While this method can certainly work with cookie doughs and—as I demonstrated above—savory shortbreads, you can also use it to roll homemade sushi, shape delicious rolled tenderloins, and set compound butter. Let us know what new flavors and recipes you choose to use with this simple trick in the comments!